‘Time to leave’ – three words that own the fastest days in the calendar. You know when to expect them but it seldom makes them easier to manage. 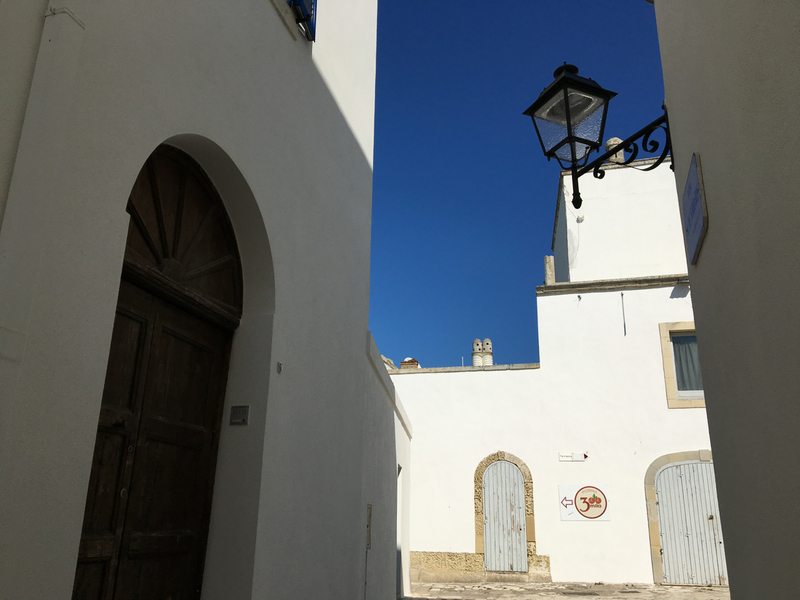 Our two years in Italy, focussed around Naples, end in a rush but, even so, we do manage to wedge in a few days to explore further south – Puglia. 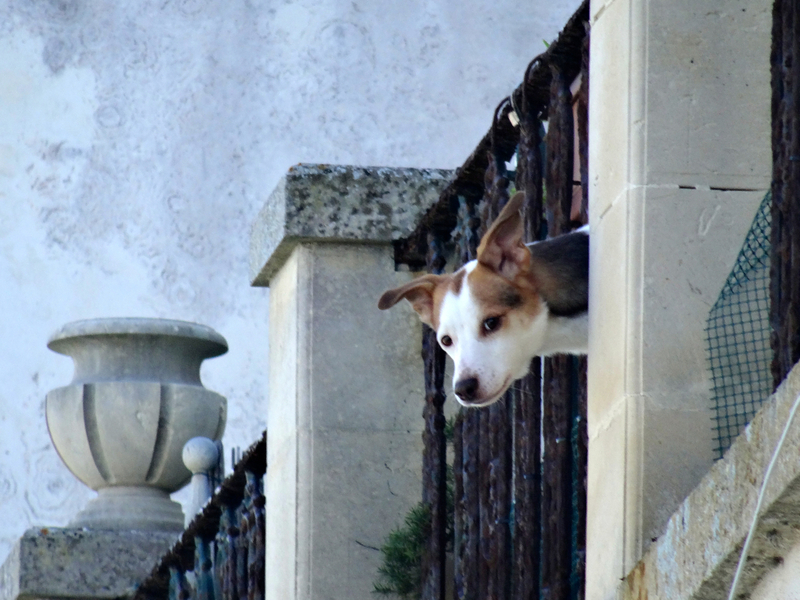 We head off in the car with the dog … and half a plan. We leave late so we choose the fast route along the autostrade towards Bari and then on to Taranto. The excellent roads flatten out beyond the mountains, to slice smoothly through the olive trees that roll out to either side. These trees are business. They are not the widely spaced groves of rocky islands, or the leisurely guardians of vineyards and valleys – these are armies of trees lined up in close formation. Ranks and ranks of them rush past, and with each line the danger of Xylella fastidiosa becomes clearer. This disease, some call it the Ebola of olive trees, is already in Puglia, and the question is how to stop its spread. It is dark by the time we close in on our destination, the Agriturismo Biologico Sant’Andrea. The SatNav tells us we’re almost there … and then, suddenly, we’re not. A striped barricade blocks the road we need. We peer down the unfinished drop that leads towards where we want to be. Ahead in the blackness two pairs of lights, one red and one yellow, move towards each other along a zig-zag route that only they can see. They pass each other slowly, and the yellow headlights bounce closer. Within minutes they reach the final approach to the barrier where we wait. They climb upwards, bump around the stiff metal legs of the sign … and are gone. That, technology tells us, is our route. Encouraged by the survivors we plunge into the darkness and edge our way through the half-mile of unfinished road to the no-entry sign on the other side. Piano, piano … and then we are there. The welcome is warm and the food fresh. There is also clear advice about the good road we should have taken. The next morning we see the view from one of the two balconies beside our bedroom. Our apartment is on the roof of the modern farmhouse. It’s quiet and comfortable – the perfect base for the three days we have for our trip. 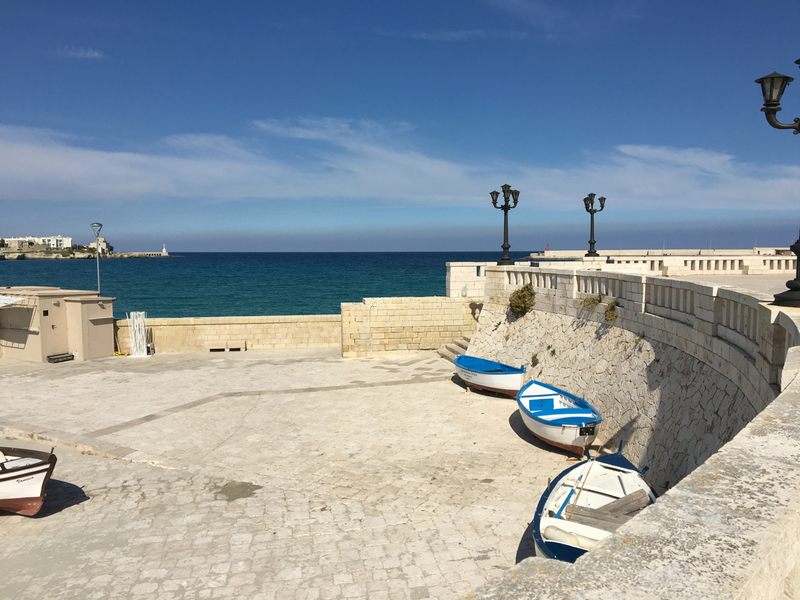 Day one: we decide to head south down the east coast towards Otranto. There are two reasons for this choice, both connected to the town’s cathedral. 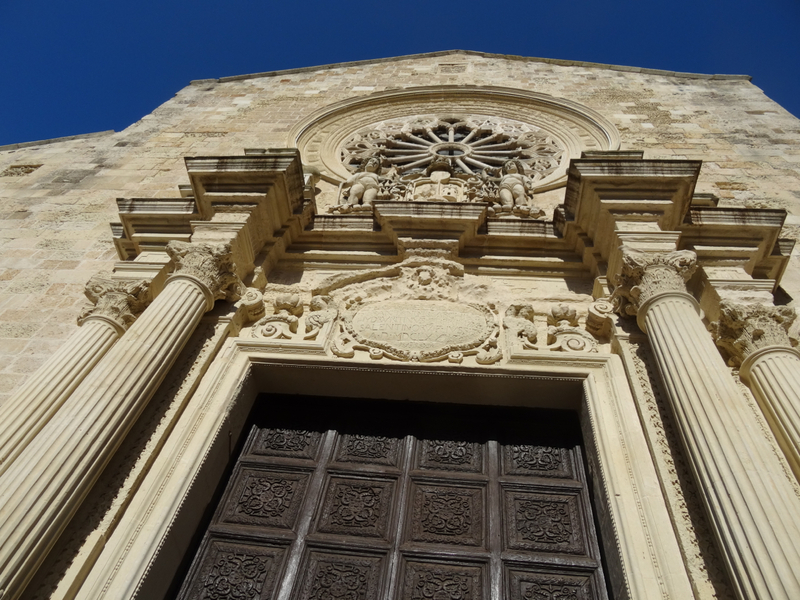 The cathedral in Otranto, Puglia. The first reason is the story of the bishop, his priests, and the 800 otrantini who clung to their faith despite certain decapitation at the hands of Turkish invaders. 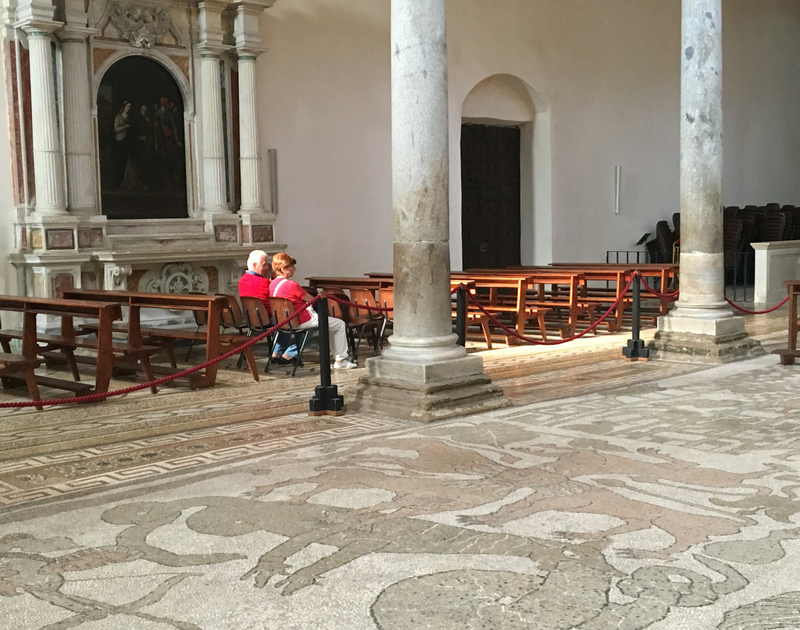 The second reason we choose to visit the cathedral is its medieval floor mosaic, designed by the monk Pantaleone between 1163-1165. Wide new roads take us almost to the cathedral’s doorstep. Inside the quiet space it is the mosaic that meets us immediately. Called The Tree of Life the mosaic has plenty in it – the zodiac is there, and there are elephants, a unicorn, world leaders, a games board – there’s something for everyone, not just for Christians. Perhaps this shouldn’t be a surprise when you look at Otranto on a map. It’s Italy’s most eastern town, less than fifty miles from Albania, and its people spoke Greek until around the 11th century when the Normans arrived. The cultural swirl must have been intense at the time Pantaleone designed his mosaic, and he seems to have tried to depict as much of it as possible. Perhaps it’s because of this inclusiveness that it survived the armies that bashed over it when the Ottoman Empire took up residence just across the sea. It is sobering to imagine all that Pantaleone’s tribute to life has seen. Saddest perhaps is the massacre of the 800 in 1480. This began with a siege of the city by the Turks who were on their way to conquer all of Italy. 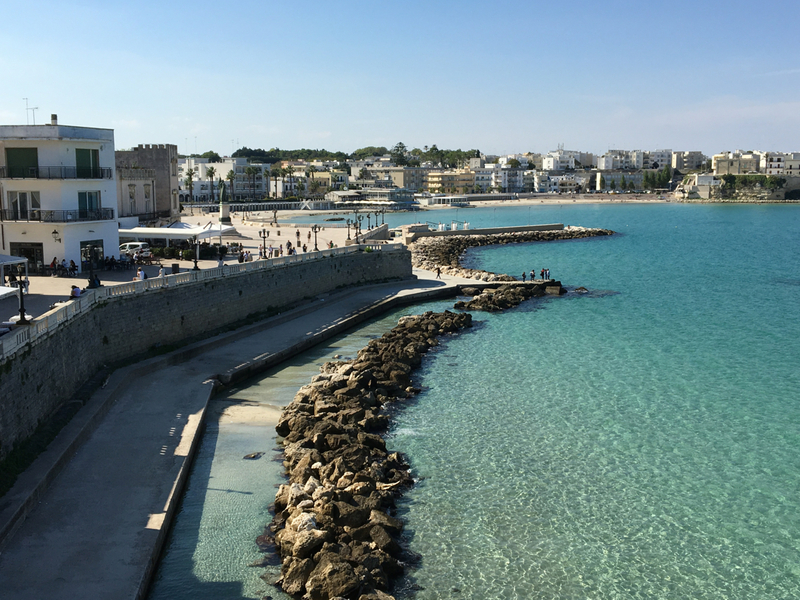 Otranto was their first stop. The town tried to resist but it was futile. The Turks surged through its defences and on to the cathedral where they found the bishop and his priests, and executed them on the spot. The town’s survivors were then rounded up and separated out according to gender and age. Women, and those under 15, were sold into slavery, while the remaining 800 men were offered the chance to convert to Islam. According to the stories passed down they refused this invitation thanks in part to the fearless speech of a local tailor. Their refusal resulted in a massacre. The group was taken to the Hill of Minerva and each man was decapitated. The chapel that remembers the 800 martyrs in the cathedral in Otranto, Puglia. Their remains are in the large, glass fronted spaces behind the altar. That was the end of their lives but not of their story. 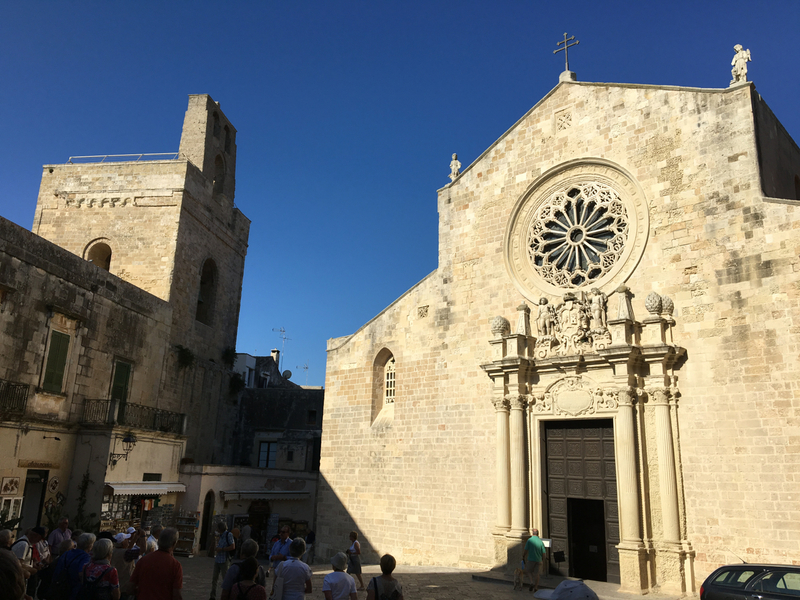 In 2013, in his first canonisation, Pope Francis included these 8oo townsfolk of Otranto. Today their bones are displayed behind glass in a small chapel to the side of the main body of the cathedral … not far from the medieval Tree of Life. 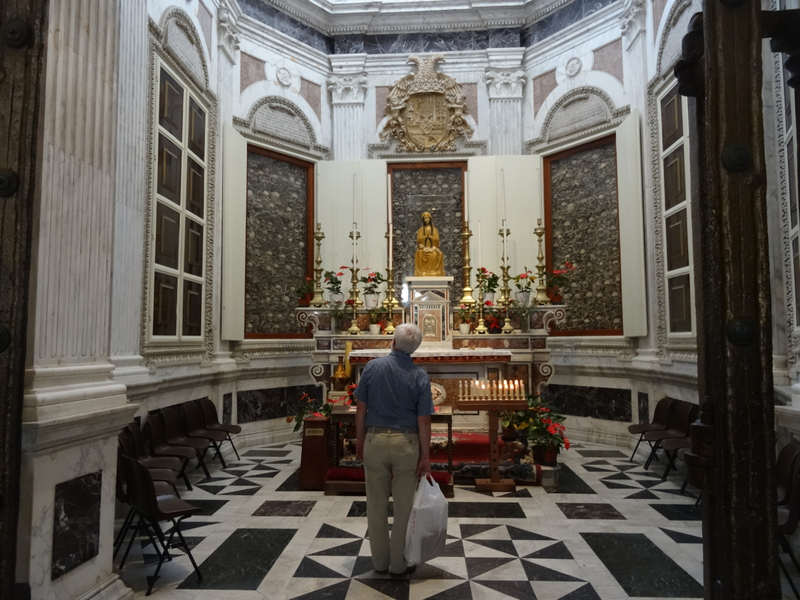 In the chapel I stand in front of the martyrs’ remains for a few dislocated and inadequate moments. It is at least silent … until a coach party arrives to settle like a flock of chattering birds in the entrance. I make my way through them, back into the sunshine. Our visit to the cathedral over we head away from the brown of its piazza back towards the bright seafront. The streets are polished clean, and many of the buildings a Santorini white. It is travel magazine heaven. Along the seafront there is a scattering of late-September visitors. We join them for that Mediterranean pleasure – a stroll. 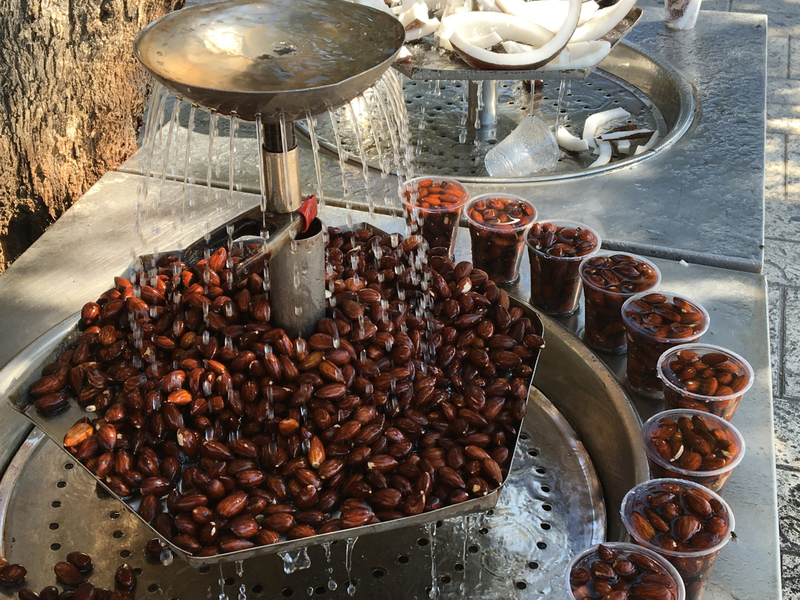 In the nearby park we are offered cool, wet almonds to taste. The sun, peaceful in its cloak of turquoise blues, moves across the afternoon. 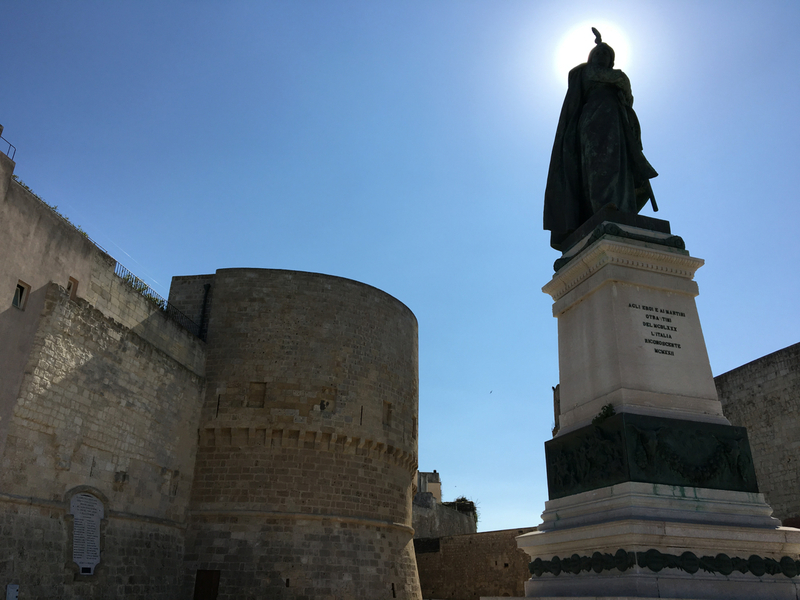 She watches over us and the open tourist spaces … a reminder of courage. Here are three sources I came across which might be of interest. They are an easy read. 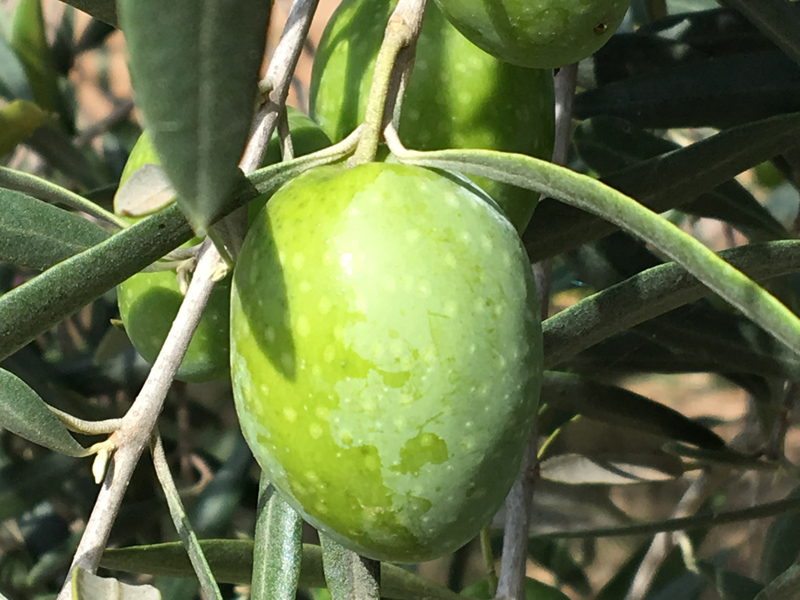 Olive Oil Times provides more information on Xylella fastidiosa. 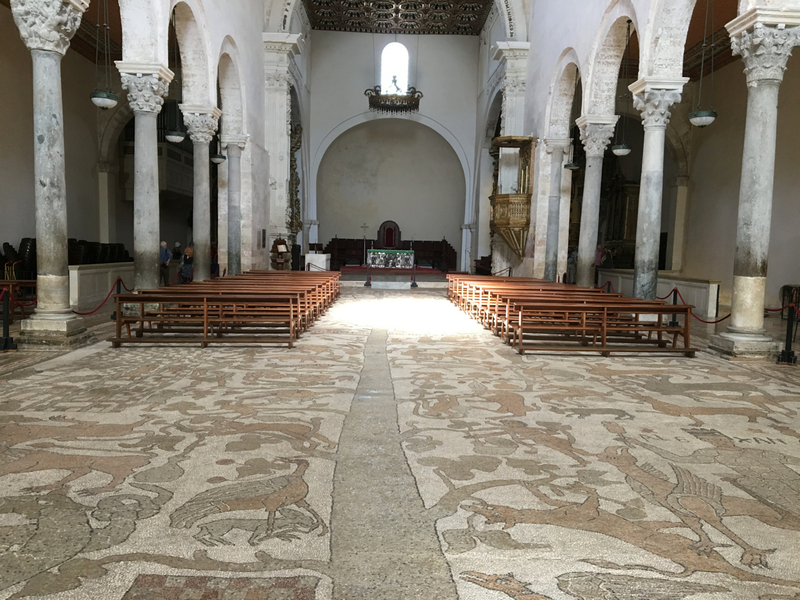 This link to the Italian Ways website shows the floor of Otranto cathedral in more detail. 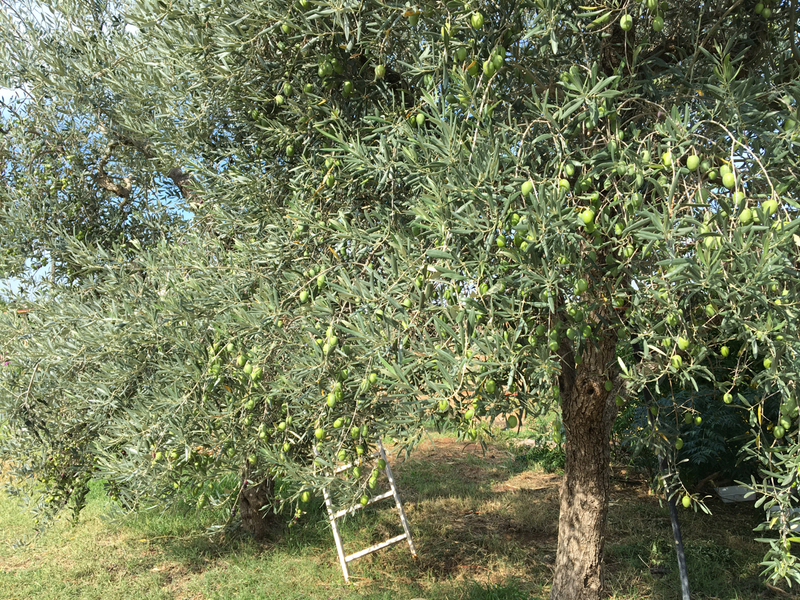 This entry was posted in Italy, Otranto and tagged Agriturismo Biologico Sant'Andrea, martyrs, olive trees, Otranto cathedral, Puglia, south of Italy, the 800, Xylella fastidious bacterium. Bookmark the permalink. I love this post…. and i would like to talk to support to see if I could add it to my site By you. if you would not mind and only with your permission. What do you think? you caught the essence, wonderful read…. i have been to these places and you brought back beautiful memories. 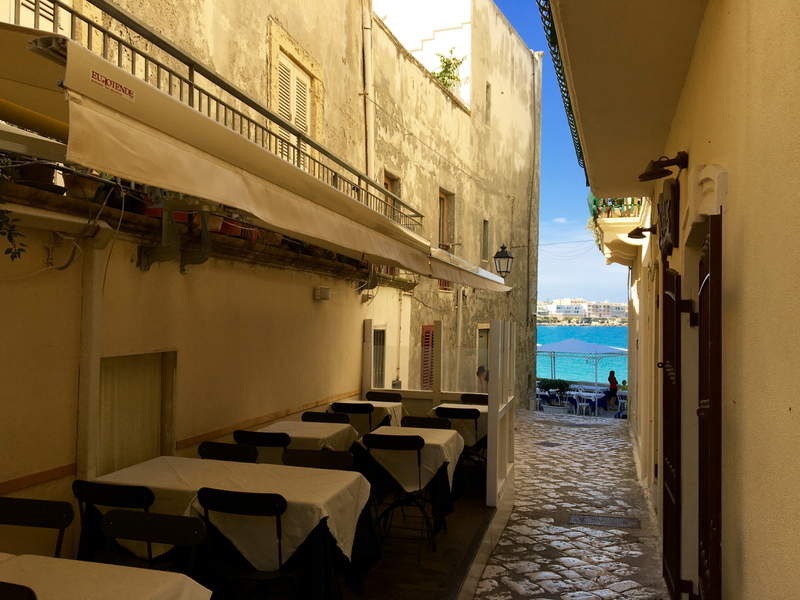 A good read that brought back memories of our visit to Otranto several years ago. I enjoyed reading about the history and I also have “Secret Naples” so thanks for the comment. Thanks Antoinette, glad the piece brought back memories. 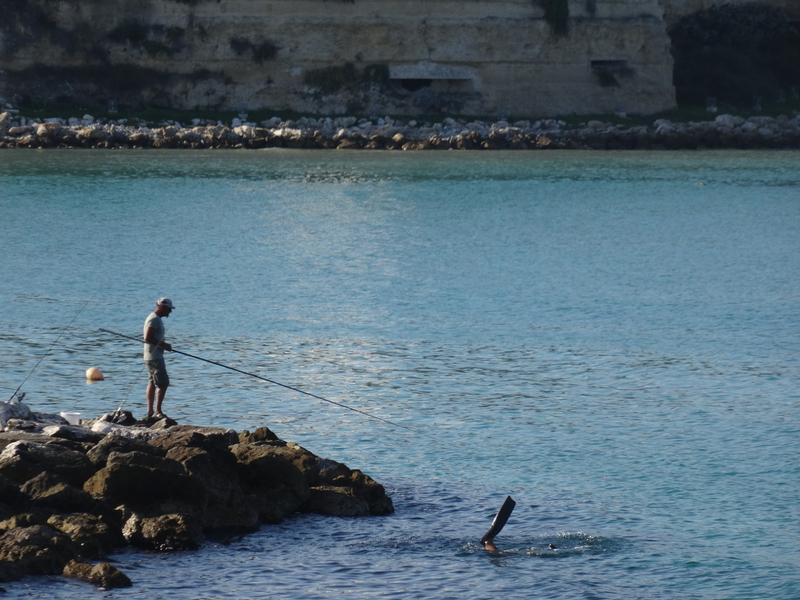 Hope you get the chance to explore some of the sites suggested by Secret Naples. Lovely, Georgie. Are you missing Naples? There are also relics of the martyrs of Otranto on the church of Santa Caterina a Formiello in Naples, Georgie. It is almost 9 years since I was there. A very beautiful part of Italy and so unspoiled. We also stayed in Agriturismos but I don’t remember which ones. I did not see the almonds like that, fascinating. The sea is just as clear and beautiful as I remember. Great photos. Lovely post. 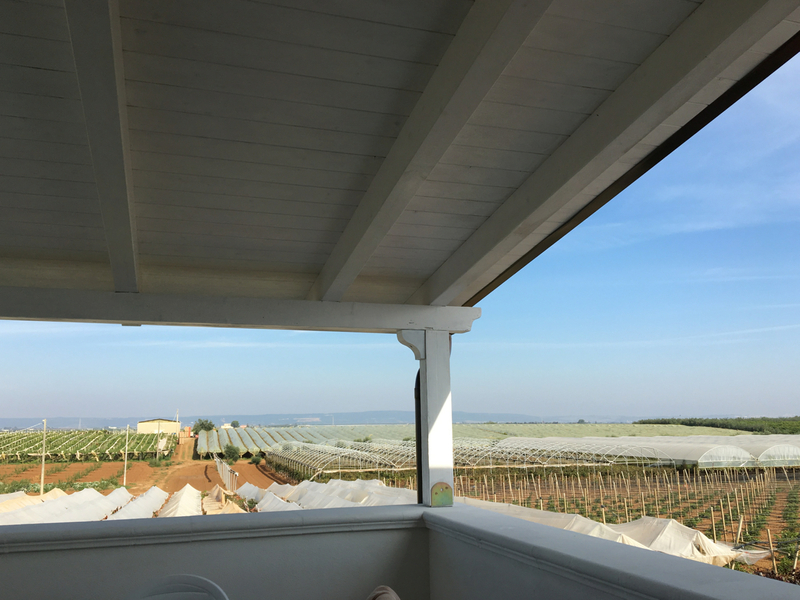 Thank you Glynis – hope you’re enjoying Sicily.